The Pittsburgh Steelers’ Defense appears to have solved several of the key issues that saw them giving up an average of 29 points per game through their 1-2-1 start. Over their last four games that number has gone down to just 18 points allowed per game. Now enter one Mr. Cam Newton. The former League MVP is playing as well as he has at any point since he won the award back in 2015 and has his Panthers averaging 27.5 points per game this season and a whopping 39 points per game in their last two. Those were wins over Baltimore and Tampa Bay at home in Charlotte. While it’s fair to say he was rather pedestrian coming out of the gate, his last two performances are worth noting. He’s completed over 70% of his passes the last two weeks while also increasing his yards per attempt by almost three full yards. Not surprisingly his QB rating has risen each week as well. Perhaps most importantly he isn’t turning the ball over. He’s thrown 15 touchdown passes to just four interceptions and perhaps making that even more impressive is that he relies heavily on tight end Greg Olsen and running back Christian McCaffrey. The Panthers have a decent corps of wide receivers but this isn’t a unit that is going to strike fear in too many defenses. While Newton will certainly utilize those guys Olsen is clearly his main target. 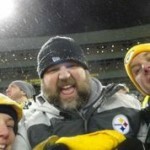 So What Does Keith Butler Do to Slow Down Newton? 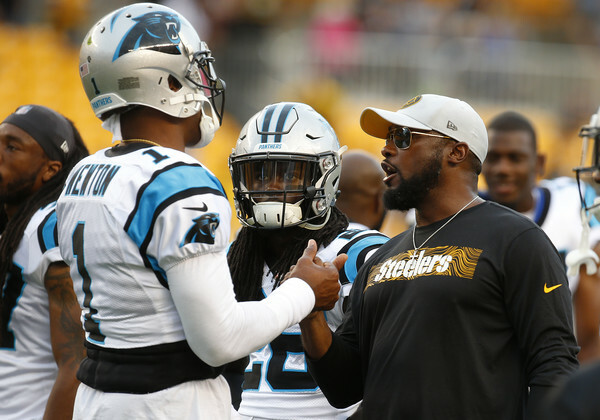 First things first… I’m not comparing the Steelers’ defense to the Super Bowl winning Denver Broncos’ D that pummeled Cam Newton from start to finish but… that defense relied on a very nice mix of interior pressure and edge pressure to rattle Newton. 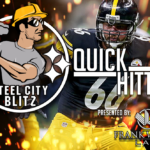 The Steelers don’t have Von Miller but they do possess a solid interior push and Keith Butler has shown a willingness in recent weeks to bring pressure from a variety of angles. All that in mind, getting Newton back down to Earth will start with stopping the run. The Panthers currently rank third in the league in rushing and average a very impressive 5.2 yards per attempt. McCaffrey leads the team with 502 yards on the ground but Newton is an easy second with 342 yards rushing. Both Bud Dupree and T.J. Watt have to be disciplined. They cannot crash down too soon in an effort to stop McCaffrey only to see Newton scoot around them. Butler has to force Newton into situations he’s uncomfortable with and that means limiting the Panthers on first and second downs. Putting him in those certain passing situations allows him to have a lot more flexibility in terms of what he calls. If Newton is consistently in third and five or less? The Steelers’ D will be in trouble. Something has to give on Thursday night. Either the Steelers’ defense proves the work that has been done is paying off or Cam Newton proves he’s back to MVP form.